Founded in 1961, Röwa of Germany was renowned for very high quality models. 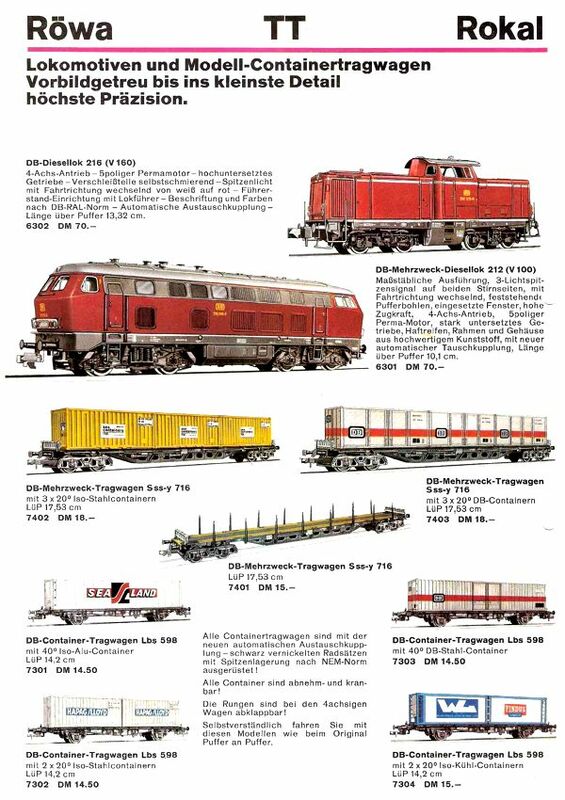 Around 1968 they acquired the tooling for Rokal's TT Scale line—remember that Rokal had licensed their coupler to Arnold, which became the "world standard" Rapido N Scale coupler. 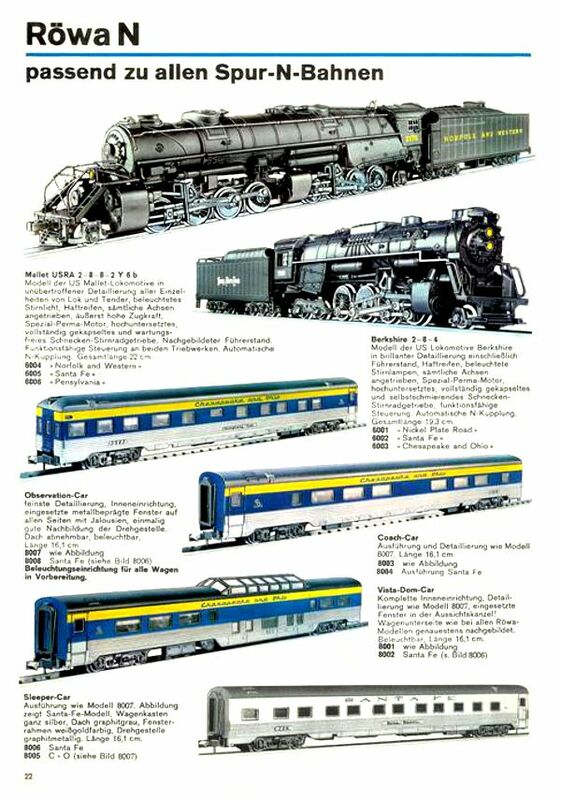 Röwa's tiny N Scale line was briefly marketed in the United States by Model Rectifier Corporation; when Röwa collapsed in 1975, Roco picked up their tooling.